Welcome to Nottingham City WI. Have a look around and if you like what you see, why not join us! We meet on the second Wednesday of every month at the International Community Centre on Mansfield Road in Nottingham. 2019 is marching on, and we are lightly jogging along to keep up with it! We were joined at our March meeting by the sporting, musical and journalistic legend, Andy Afford. He shared some wonderful anecdotes and fascinating insight into the world of print journalism, and the battle that is going on under our noses to grab our attention at the newsstands. The effort and planning that goes into creating a magazine cover is something that I’m sure few of us pay attention to and yet we are influenced by it every time we pop into a newsagent. We looked at some of the most memorable and provocative covers throughout history, and discussed what it was about them that drew people in. This was scattered with some hilarious tales of award ceremonies, athletic achievements and the poker prowess of a certain sporting legend. It was a fun and thought-provoking evening, which has ensured none of us will look at a magazine in the same way again! 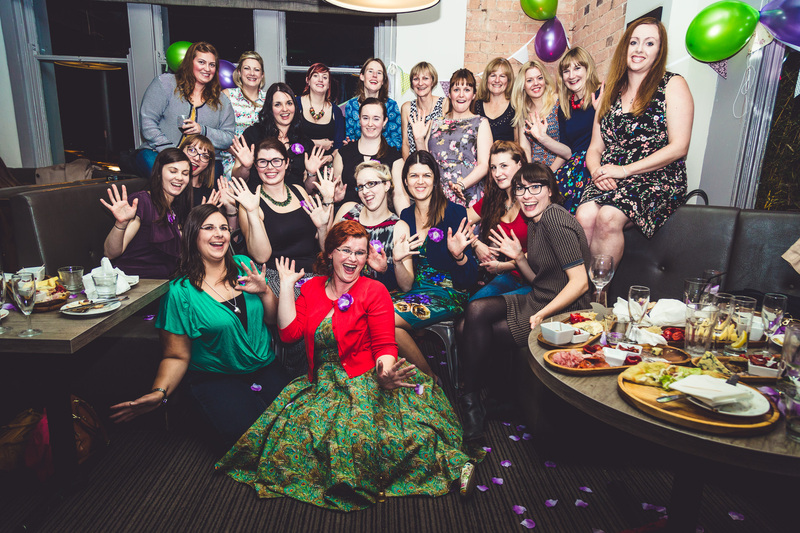 It’s been a flurry of performance shenigans in February for the City WI massive! 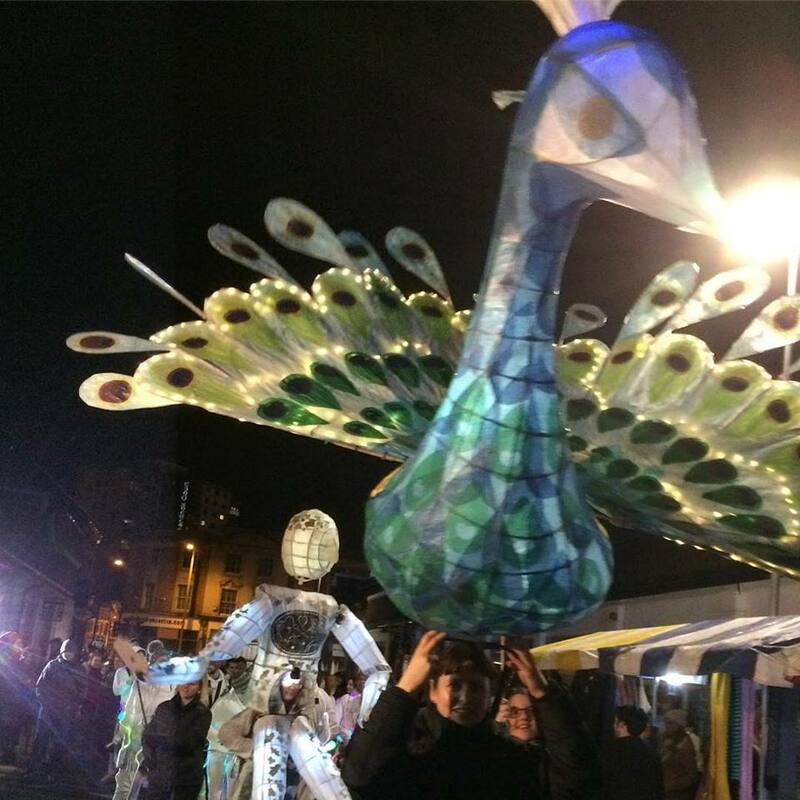 First up was Nottingham’s Light Night, when we pitched up to the Curious Parade at Sneinton Market and Vicky and Laura tag-teamed it as the Curious Peacock! It was a totally magical night and sooooo busy with thousands of Nottingham families out on our streets to enjoy the illuminations! The beginnings of the most wondrous WI carnival troupe, we’re sure! We got the year off to a great and well start with a yoga session, led by Leonie from YogaBellies Nottingham. YogaBellies run beautiful (and wonderfully colour coordinated!) Yoga classes that are accessible to women of all life stages, shapes, sizes and beginners are warmly welcomed. The class that we were treated to was the ‘Luna’ class, which is usually run on Sunday evenings at the Holistics Hub in Nottingham. We had a wonderful hour session which consisted ofa beautiful candlelit flow to set us all up for a calm, positive week ahead. The level of relaxation that we all achieved made us agree that it was worth venturing into the cold of January for! It was exactly what was needed for holiday indulgences, and has got us looking forward to what else 2019 will bring! The nights may be drawing in, but our spirits are still high at City WI! We started the winter months by taking a stroll with The Original Nottingham Ghost Walk and hearing all about the spectral sightings that Nottingham has to offer – and also learning about the more macabre history of our city. It was the perfect way to set the scene for the Halloween month! Outside of our monthly meetings, we were asked if we would be able to send anyone to help judge the cider competition at the Robin Hood Beer and Cider Festival. A short scuffle ensued, but Nicky and Jess managed to free up some time in their week to go and judge cider alongside Robin Hood himself! They spent the afternoon with some wonderful cider connoisseurs and some equally wonderful ciders! Our November meeting found us getting into the festive spirit early by making some felt wreaths under the guidance of our very own Sarah Manton. 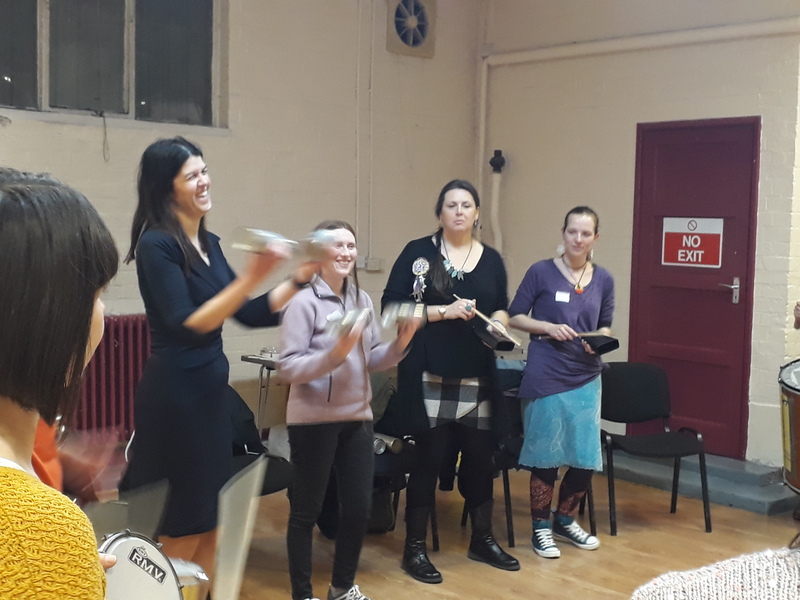 It was a craft session for all levels and helped spark some Christmas cheer, which has geared us up for our Christmas party on 12th December – come along and join us for food and merriment! Valentine’s Day! It was bitterly cold and an evening when one should traditionally be with their sweetheart, but a couple of hours out with WI chums is ok, isn’t it? We were treated to an evening of expert hooking by Nottingham’s premiere crochetiere, April Towriess, who spun her personal crochet journey yarn beautifully and then led us through creating some beautiful green crocheted hearts to ‘Show the Love’ and our WI involvement in the Climate Change Coalition. April is involved with Bulwell Arts Festival and is looking for participants to contribute to her wonderful ‘Joining Lines’ project. We’ll certainly be joining in here at City WI and you can find details about how to create your own crochet doily and join in the collaborative artwork here. Nottingham Light Night was even colder! That didn’t deter the hardy women of City WI commemorating 100 years since some women were granted the right to vote. 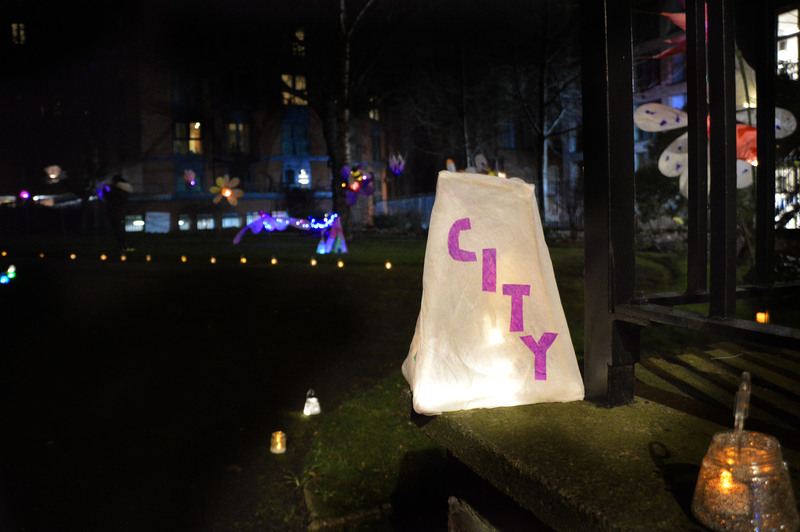 Two willow lantern Suffragettes welcomed visitors to Barker Gate Rest Garden, our adopted park, in Nottingham’s Lace Market, and the number ‘100’ was picked out in lights on the lawns, surrounded by glittered glass jars and lanterns decorated with the names of Nottingham suffragettes. Our March meeting will see us welcoming visitors from Vietcentric Vietnamese Community Centre to talk to us about their work and specifically, their wonderful Food Tour! Details on our Facebook page here. Please join us! 2018 is now truly under way. We’ve had our first meeting of the year were local Mel Doran was on hand to teach some basic self defence. This lesson helped give a confidence boost to many of our ladies in their ability to defend themselves against any unwanted advances. We all truly enjoyed our time on the mats learning the beginner steps in defending one’s personal space. Many thanks to Mel for her break through lesson! February’s meeting will be Wednesday Feb 14th and will feature April Towriess sharing a little about her love of crochet. She will be leading us through her personal pattern for a beautiful green heart, so that we can ‘Show The Love’ and our support for the WI’s climate change campaign around for Valentine’s Day. Check out our meetings page to see the events for this years’ program. Hope to see you there! 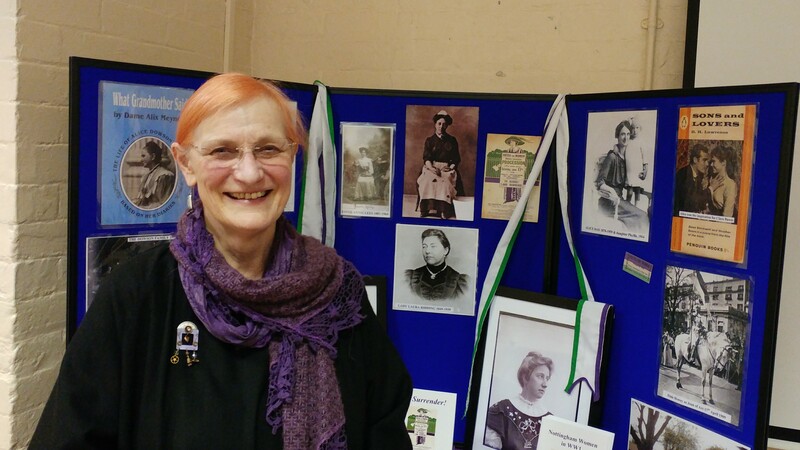 Our March meeting walked us through the history of Nottingham’s very own suffragettes thanks to Dr Rowena Edlin from the Nottingham Women’s History Society. There were many great Ladies who paved the way for women in our area and it was fascinating to hear of their trials and tribulations during the Suffragette movement. We will also have some Easter crafting going for those who fancy trying out some crafting. Do join us for an interesting evening. The end of the Manton era was signalled on International Women’s Day, Wednesday, 8th March 2017, when after two joyous years, I stood down as President of Nottingham City WI. It’s been a whirlwind since I took office from our incredible founder President, Kerry Edwards-Kelsall, of jam (marmalade) and Jerusalem, Suffragettes and stitching, marching and martial arts, camping and cream teas, cheese and wine (and tales of the night), books and beer, flowers and frocks, quizzes and the Queen and oodles of fabulous, inspiring women… and tea… and cake! 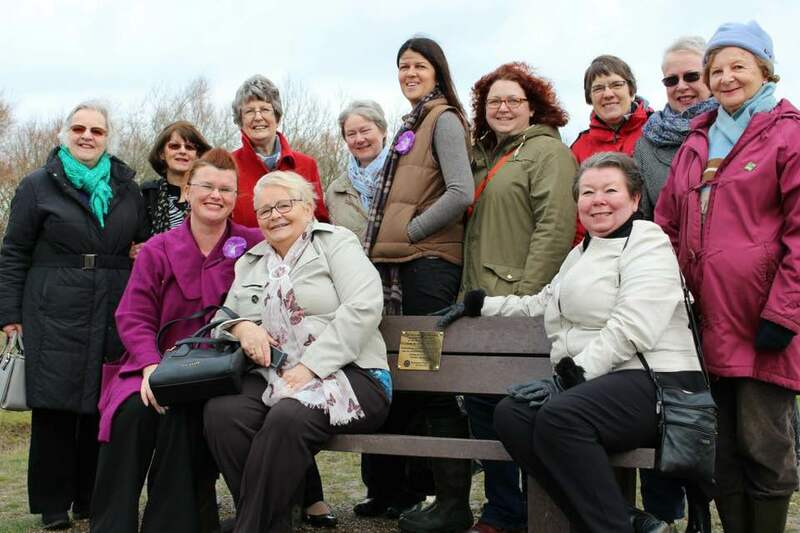 It was a beautiful day to end on, joining with members of City, Gedling and Netherfield WIs to present a bench to Gedling Country Park in commemoration of International Women’s Day in unison with Cllr Roxanne Ellis. The inscription on the bench is a quotation from James Oppenheim’s poem, ‘Bread and Roses’, an anthem for women around the world “As we go marching marching, we bring the greater days, for the rising of the women means the rising of the race”. 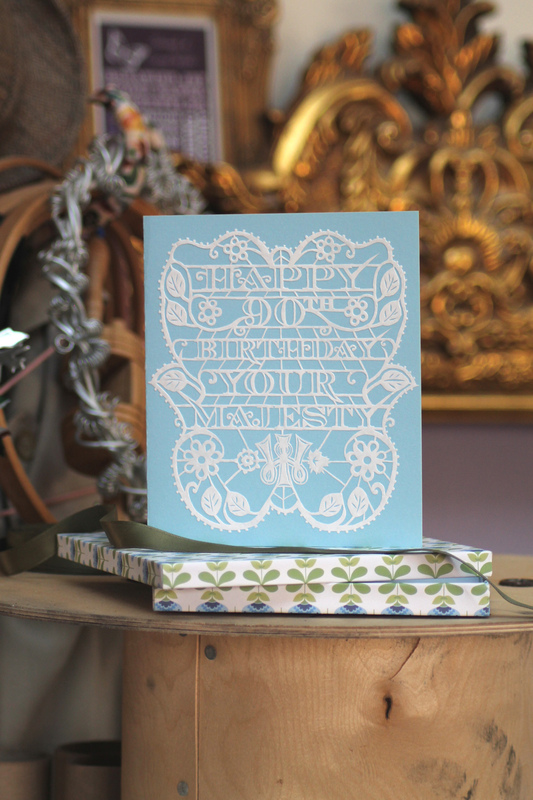 With the WI Centenary Garden Party at Buckingham Palace and being commissioned to papercut the WI’s official birthday card for Her Majesty the Queen, I’ve got closer to royalty than I could ever have anticipated! But it is you, the ladies of Nottingham City WI and our Women’s Institute sisters around the globe who it’s been an honour to work alongside, as President. It is to my utter delight that our new President will be the sublime Mrs Lucy Petford! The official Presidential bell has been handed over and I’ll be her loudest cheerleader from the committee bench (you can look forward to THAT!) – good luck, lovely lady! 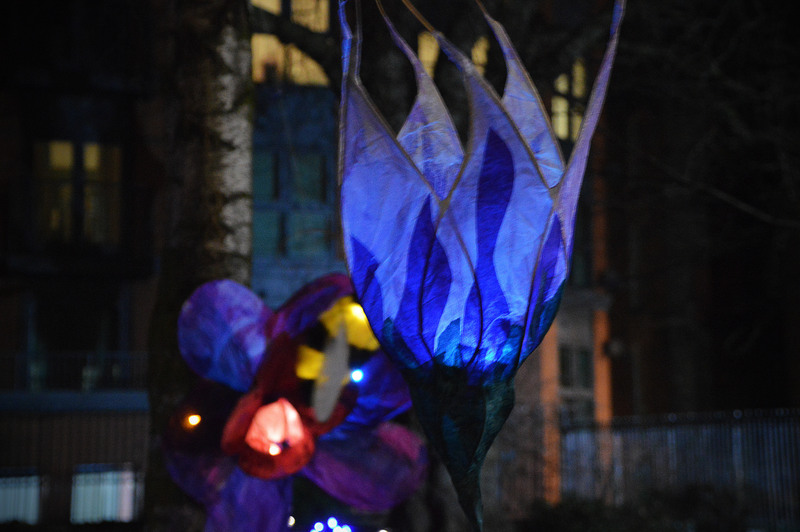 Our enchanted flower garden set up for light night in St Mary’s Rest Garden was a success! 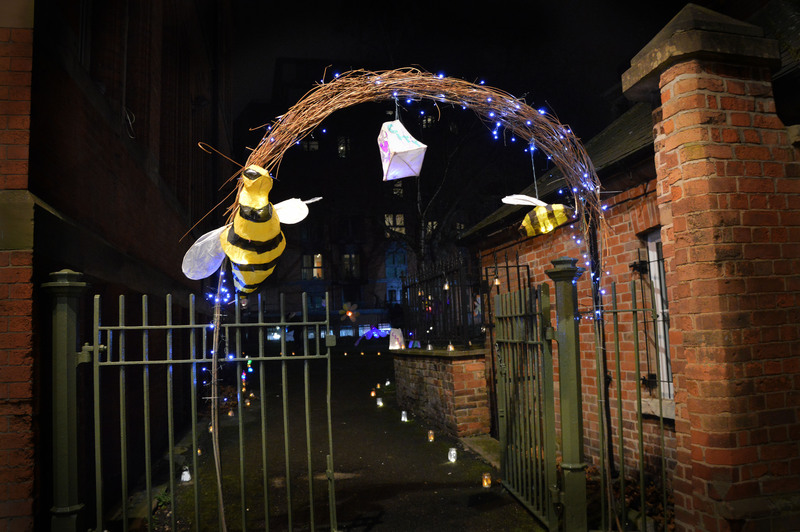 We had many interested passers by come visit the garden while on Nottingham’s Light Night Trail and learn about our plans for the garden this year. Many of them were not aware the garden existed and were excited to hear of some refurbished green space come to the city this summer. Here are a few photos to showcase the wonderful work our ladies did to decorate the garden. March’s meeting will take place on Wednesday 8th of March at the usual meeting spot at the YMCA International Community Centre. We have invited Dr Rowena Edlin of the Nottingham Women’s History Society to tell us all about the history of the Suffragettes. So do join us to hear about the wonderful ladies who helped make Britain what it is today. See you soon! 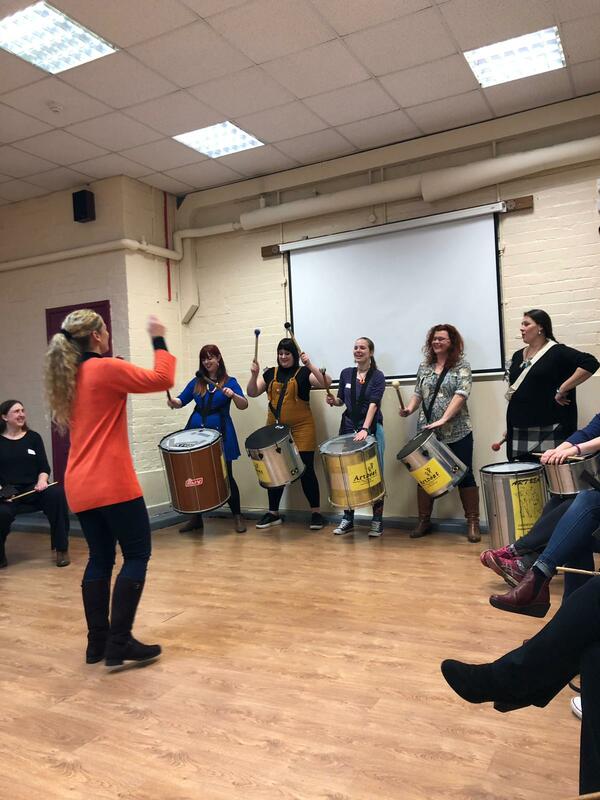 February Meeting & Nottingham Light Night! After the willow and tissue paper whirl of the last couple of weeks (creating our giant flower lanterns so that we can illuminate Barker Gate Rest Garden for Nottingham’s Light Night on Friday, 10th February), we are looking forward to the calming influence of Estelle Theanine of August Moon Tea! 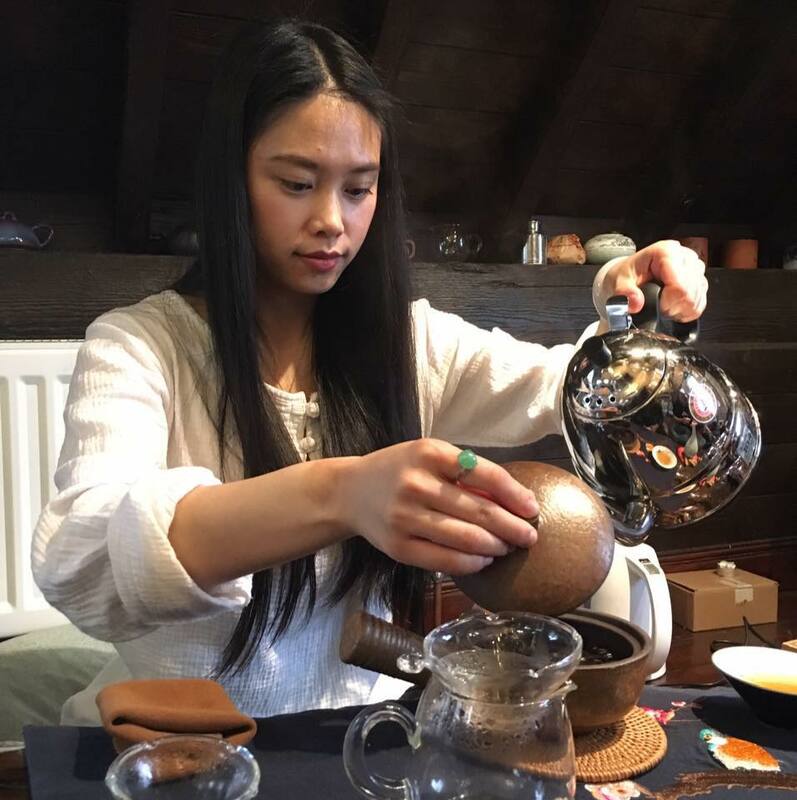 Estelle will be joining us at our meeting on 8th February 2017 to introduce us to the tranquility and significance of the Chinese Tea Ceremony. We will also be creating our own green hearts to wear in support of The Climate Change Coalition’s ‘Show The Love’ campaign. The Women’s Institute is a founding member of The Climate Change Coalition and use the green hearts as a visual reminder on Valentine’s Day to keep the issues of climate change in the public eye – why not do something green to Show The Love, yourself? 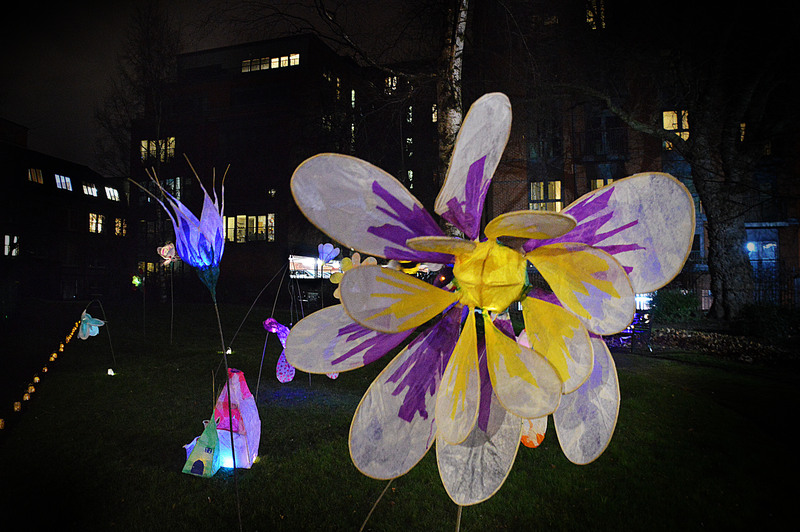 Don’t forget to come along and visit our enchanted flower garden on Friday evening, 10th February at Barker Gate Rest Garden, whilst you’re enjoying the rest of the fabulous illuminated spectacles around the city… Oh, and if you do come, please bring hot chocolate and / or cakey goodness!… Thank you!